Welcome to the first Nectarine blog posting! We are excited that in our 40th year in business the world is on the brink of a retail make-over. An internet presence has become increasingly important in communicating and marketing to customers. The good news is that it is easy—here is how…. Having an online presence is essential today, as the internet is a favorite way for consumers to find, learn about and shop for products. Brick and morter stores have been hard hit in this economy, and simple online tools can really help boost sales by bringing traditional retail and the 21st century shopper together. Today, thanks to a wide range of innovative online tools, there are many easy, low cost or even free ways to get customers inside your store and shopping. We want to share a few of the most successful online and social media tools and how these can positively impact your business! Rest assured that these ideas can be done yourself and take only basic computer skills–no need for an expensive agency or designer. 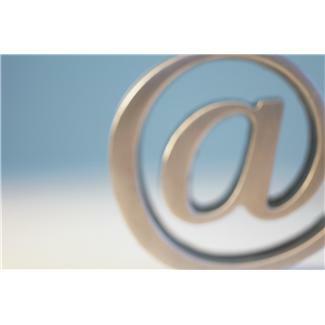 The first step to having an online presence is making sure you have a dedicated email address for your business. Doing so is easy. If you already have an account with an email provider for your business, you’ll want to create a general email box that consumers can use to get in touch with your business, such as info@yourbusinessname.com To create a free general email for your business, check out gmail, yahoo, hotmail, etc. you can simply use email addresses such as yourbusinessname@gmail.com or yourbusinessname@yahoo.com to make it easily recognizable as your general email address. Microsoft and Mac also offer email services that integrate with their software applications. Keep in touch with your customers by signing them up to your e-newsletter. With each sale, ask if they would like to join your emailing list to receive special offers and learn about special in-store events. Make sure you have a simple sign-up sheet at checkout, so customers can easily join your mailing list. YOU Can Create Your Business Website! Watch for your next blog in two weeks that will take you to the next steps in online business promotion.